Now we're the "Divided" States of America. Or maybe the "Untied" States of America, with a suitable new slogan, "In Mammon We Trust." Tribalism trumps unity. Gone is the idealism of E Pluribus Unum, "out of many, one." The melting pot, which united us for so long by blending differences, is banished to the trash. Instead, we changed everything to inhabit a multicultural Tower of Babel, where everyone finds an identity inside a bubble and searches for another group to be against. It's a badge of pride and honor to find someone to hate, to find an injustice to protest as long as the protest is easy and you won't offend your friends. The fabulously wealthy black players of the National Football League (and one or two others from the other sports leagues) focus on the prejudices, oppressions, and injustices of the past. They could make a meaningful protest by giving time to the kids, to live up to the demands of a role model. Instead, they're kneeling for the minutes it takes for the band to play the "Star Spangled Banner," showing disrespect for the flag. How tough. How brave. If a teammate steps out of the bubble, as Alejandro Villanueva of the Pittsburgh Steelers did to get a glimpse of the flag, which he wore on his uniform during three tours in Afghanistan, he felt it necessary to explain that he didn't want to be a symbol or part of a fight. Team play depends on the team pulling together, even in a wrong direction. This kind of protest destroys the feeling of a fan, says Rush Limbaugh, for years a super fan. He didn't watch the Steelers this weekend, for the first time in four decades, more out of sadness than anger. "I realized that I can no longer look at this game and watch this game and study this game and pretend, you know, fantasize, everything as a fan does," he says. "The mystique is gone." The president, who never lets a thought hide in the corner of the brain usually reserved for "things best not said," urges team owners to fire disrespectful footballers. He fantasizes about telling players himself, "You're fired!" But that show is long gone. For all the power of his office, he can merely advise. What he says may be good for keeping his loyal base fired up, but also he turns up the flame under our divisions. His surrogates in the media hyperventilate over the real, the fake and the farcical, awarding attention to the melodramatic with the notion that there's some wisdom waiting to emerge. There's not. Many of us would like to play Lucy in the "Peanuts" comic strip, snatching the football away before Charlie Brown or someone else can kick it. We hear a rising chorus saying "a pox on politics." Nearly all of our spectacles, like the Emmys or the Grammys, the Academy Awards and even choosing Miss America, are so politicized that it's hard to see a movie without someone objecting to a politically incorrect inconvenience. But bailing out of the debate is not the answer. 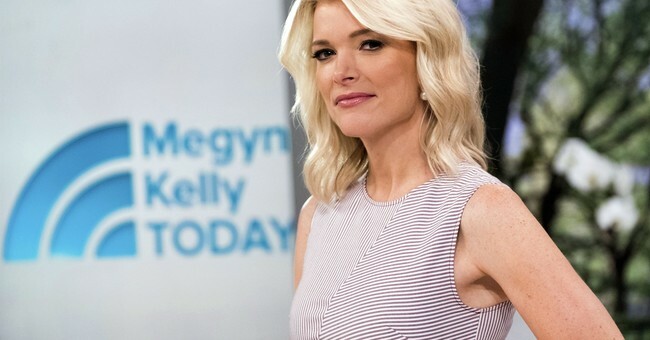 You could ask Megyn Kelly, whose new morning show, "Megyn Kelly Today," opened this week on NBC with a soft ban on talking politics. "The truth is," she told her audience, "I am kinda done with politics for now. " She offers "a smile, sometimes a tear, and maybe some hope to start our day." Such pabulum makes you want to take a knee, and a member of the audience on the second day even asked if she would do that. Gone was the hard-hitting Foxy lady who, in the first debate between Hillary Clinton and Donald Trump, nailed the Donald as a coming chauvinist-in-chief. On her new show, she pushes her stilettos right down the middle of a bowl of cold mush: "This whole situation underscores some of the beauty of our country. Because those players have every right to take a knee. And those who object to it have every right to say they object." She was a star at Fox, with a beautiful but tough exterior, who spurned the touchy-feely to get to the important stuff. Now she wants to focus on a softer, sentimental pop culture, like Jane Fonda's new facelifts, and avoid the roughened vulgarity of politics. The pop culture is plenty vulgar, too, always a hot seller in the Divided States of America. Maybe that's the important stuff now. Habits die hard, and Megyn satirized herself when she teased her audience that between the smiles and tears she would be "dissecting the latest tweet from President Trump." She quickly added, "Oh, no, we will not be doing that."